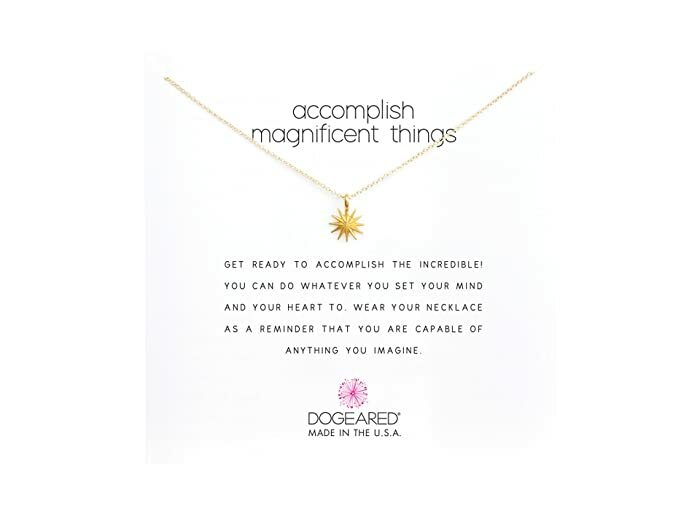 Dogeared Accomplish Magnificent Things Necklace 16"
Make a wish and put on your necklace. Get ready to accomplish the incredible! You can do whatever you set your mind and heart to. 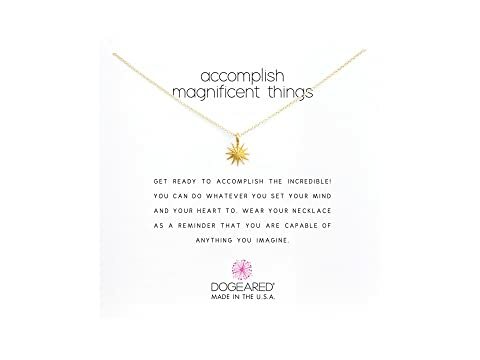 Wear this necklace as a reminder that you are capable of anything you imagine. You're quite magnificent. So magnificent, in fact, that you could accomplish anything and everything you set your mind to. 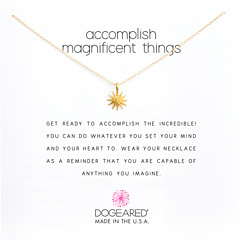 Good thing this Dogeared® necklace is here to remind you of just of lovely you are! 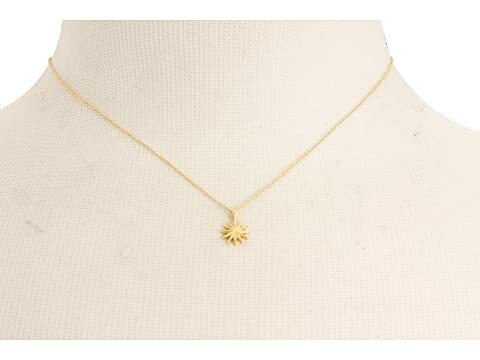 Made of sterling silver or gold-dipped sterling silver.